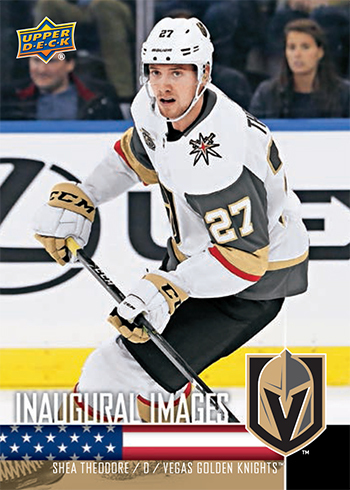 Upper Deck to Release a Special Promotional Set for the Vegas Golden Knights Inaugural Season Next Week! 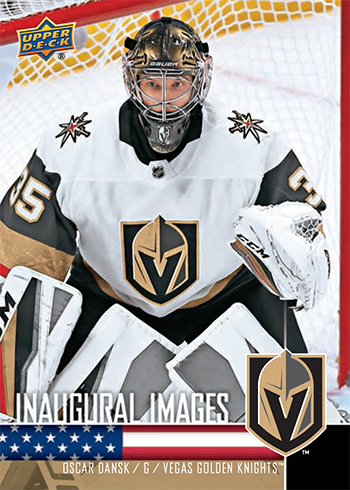 Now we know what you are thinking, “What about Marc-Andre Fleury, James Neal and all the rest?” Well the set doesn’t end at just 15 cards. The last five cards in the set will randomly be inserted into 2018 Upper Deck National Hockey Card Day in the USA packs! 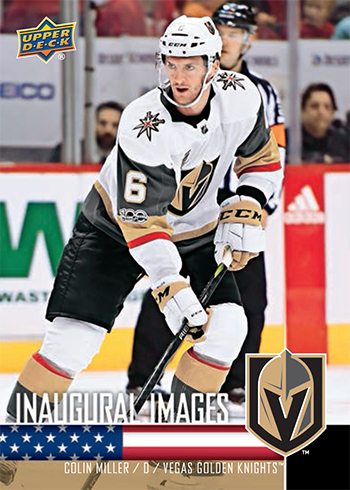 You can get a FREE National Hockey Card Day when you visit a participating retailer on March 3, 2018. More details to come on that, but in the meantime, check out the checklist for the last five cards that will be found in those packs! The cards in the National Hockey Card Day packs were actually quite rare. With so many fans looking to complete their sets, Upper Deck produced another version of the packs and made them available to these shops. 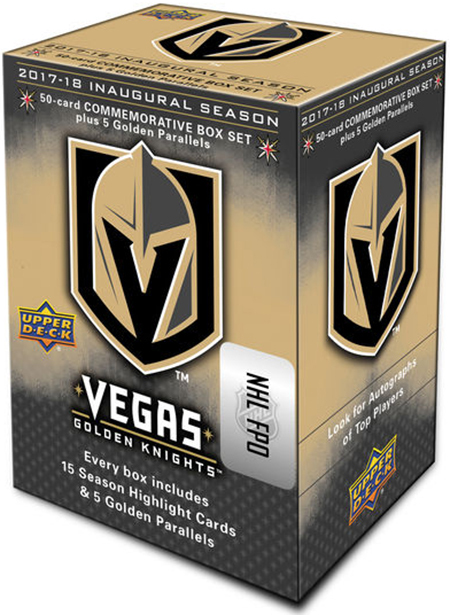 These other versions DO NOT have the National Hockey Card Day logo on the front and National Hockey Card Day call-out on the back. 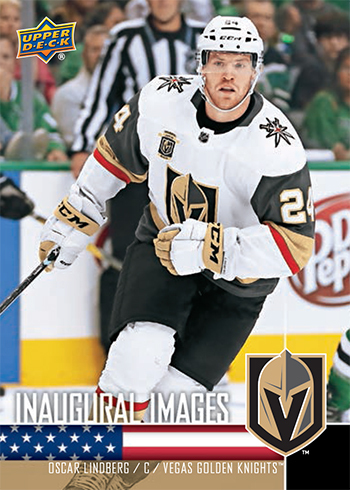 The new versions are considered common to the short printed National Hockey Card Day versions. Love seeing how this new team of supposed “misfits” have banded together to become the talk of the NHL. I like the cards with their home jerseys one, as I feel they are one of the nicest uniforms that adidas put out this season. 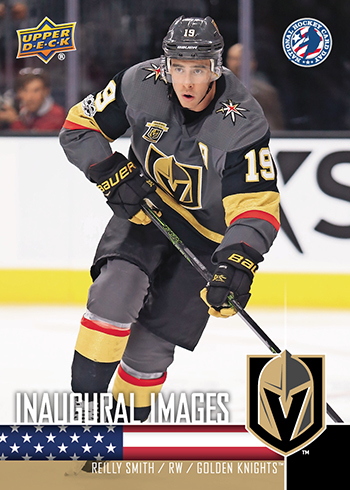 I live in Las Vegas and have season tickets. This team is playing incredible and the city has rallied around them. In the home opener you could see how the team helped the city recover from the October tragedy. Deryk Engellands speech made everyone realize the city was not alone. The excitement they have created and the pride shown by the fans has been great in creating an old time hockey feeling. Go knights go. Yes this is awesome! Finally can get a bunch of players that probably won’t get featured otherwise. Probably most excited to get Hunt and Haulaaaaaaaa. Definitely getting two from Legacy so I can keep one pristine and use the other for in person autos. Fleury cuz he is FLEURY!!!! All time great and my favorite goalie. I went to the season opener. Love how he makes time for his fans always met him at the Pratice rink in Vegas. He has a big huge heart!!! 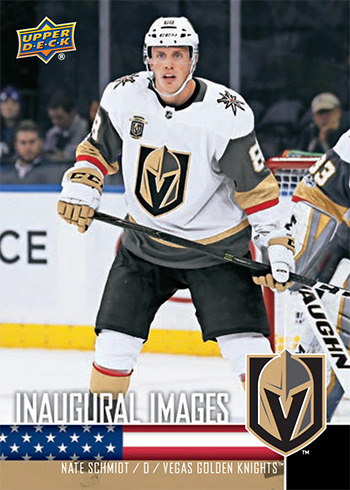 I have been looking forward to the start of the Golden Knights franchise since the day they announced the team. I like the team because of them being a new team. 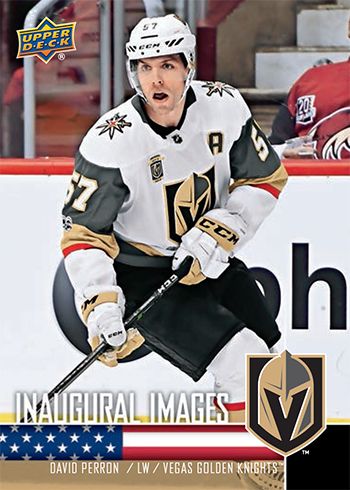 I like the Marc-Andre Fleury card the most because he would probably be my favorite player. As a hockey fan, I have a lot of ties to the Knights. I’ve been following Theodore’s career since he played for my WHL team (Go Thunderbirds!) 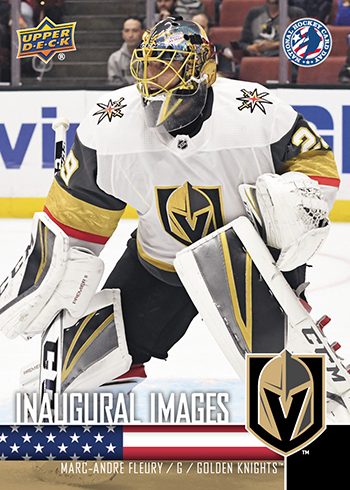 Flower has been a favorite of mine for years, and I love how he’s blooming in Vegas. Plus, I get to see them face off against the Wild next month! Obviously the Theodore and Fleury cards are my favorite…but Haula and Subban are up there too. Thanks fit the chance to win! I love the Knights because through the games I got closer with my dad and I fell in love with the sport. If it weren’t for the knights I don’t know if I ever would have discovered how much I love hockey. Because of the knights I now have something I love dearly and I even collect upperdeck cards! My favorite cards are the William Karlsson, Oscar Dansk, Fleury, Subban, Neal, Marchessault and Perron! Oscar Dansk! Just Dansk! Dansk like no one is watching! 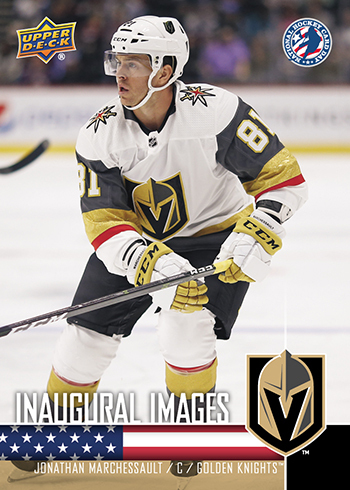 Love The Golden Knights and love upper deck! Can’t wait to try and find these cards. The Knights are a hard working team that have brought this city together and shown the world our community. My husband and I love to open hockey card boxes together too! Just got back from the all star game where we supported our knights too! Go Knights!!! I would love all of these cards!! When I start to think of my favorite player I end up just naming them all. Such an amazing team, amazing city, and these are definitely amazing cards. I NEED THEM!!! 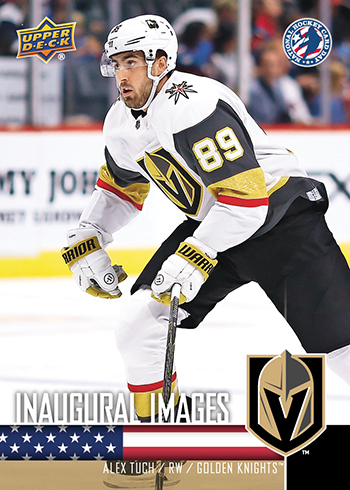 <3 <3 <3 #GoKnightsGo!! Having lived in Vegas my entire life (and always being a massive hockey fan), this team means the world to me. My dad and I went to almost every Wranglers game together, and my mom had season tickets for the Thunder. 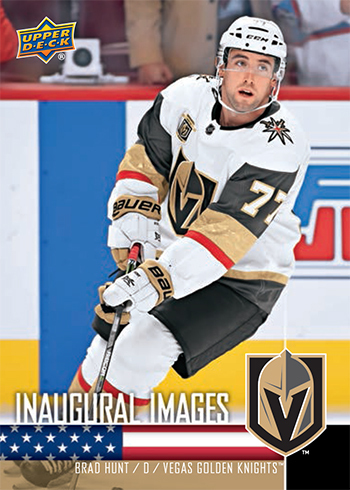 Hockey is incredibly important in my family, and this team has been so so important in bringing the Las Vegas community together. P.S. I love all the cards, but Tuch, Leipsic, Schmidt, and Haula are my favorites. Awesome cards Upper Deck! We love Fluery and ‘Wild Bill’ Karlsson. The whole team really! All 3 of my little ones play hockey…really was never into hockey til then…live in Vegas… love the knights #GKG been watching and rooting since the beginning! 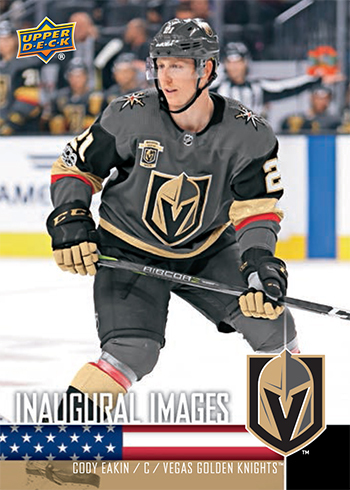 Big Golden Knights fan and it’s like a cinderella story on how well this team is doing in their inaugural season. No one expected them to perform as well as they have especially with the roster they selected in the expansion draft. Thank you to Upper Deck for creating this set for fans ! I’m from right outside St Louis but have always felt my heart belongs in Las Vegas. After the shooting last year the city was united like I’d never seen – and part of that came from this team of, for lack of a better word, misfits that showed the world Las Vegas is not a city that will rest on their laurels. The job these guys have done, surpassing EVERYONE’S expectations, is remarkable. I’m not even on that side of the country but they’re my Home Team! I want these so much! 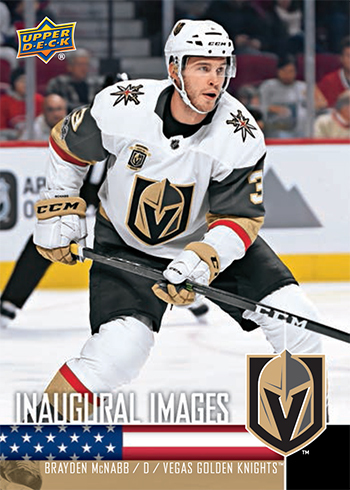 Especially the Shea Theodore one. I have been watching him play since he was 15 years old! I don’t have a hockey card retailer where I can go get these, so please pick me! great looking cards, I can’t wait to get out to Vegas to see some games and of course enjoy the casino action! I love all of the goal minders. It is amazing how they covered each other earlier in the season during injuries. Even seasoned commentators were doubting them, and look where they are now. 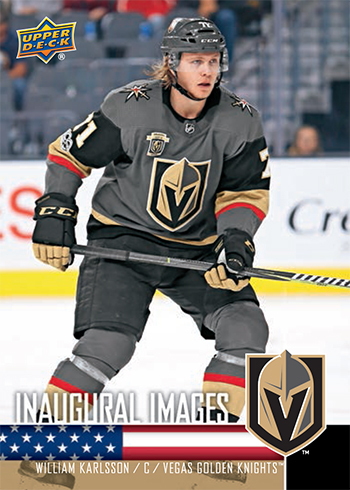 I’m a huge Ottawa Senators fan, but I have begun collecting everfy Golden Knights card I can get my hands on. As an active duty Soldier I can say the heart of this club is unbelievable and I would not be one bit surprised to see them in the Stanley Cup Final this June! I would have to say the goalie cards. 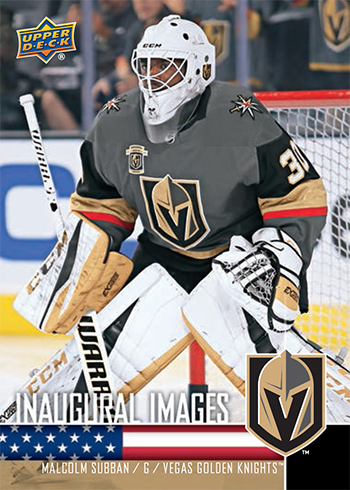 For a brand new team with players from every other team to come out and show what they are made of even with all the netminder trouble they have had with injuries. That would be like a car company grabbing bits and pieces of every car on the market, not only would it be a feat to make it work but to be a top seller too unheard of. We want to see a card of Chance the mascot! We love KNIGHT TIME! I may not live in Vegas but i’m wanting these cards soo badly!! By the end of the year I will have attended 9 games either in Canada or in Vegas. Collected cards growing up and these would just be absolutely amazing!!! 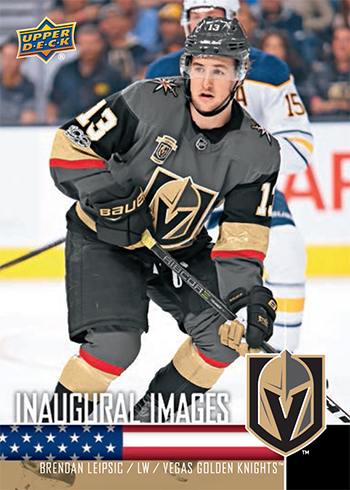 From Canada to Vegas, Go Knights Go!!! This team has done so much for the Las Vegas community especially after the tragedy last October. They continue to spread their message that Hockey Is For Everyone and are doing great things in the community to include EVERYONE! 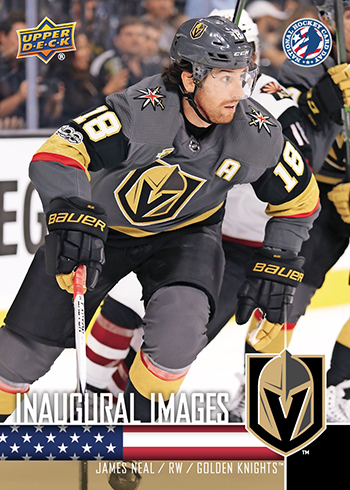 They are just a great bunch of guys who happen to play hockey extremely well together for a first-year expansion team and I am so VERY PROUD to be a VEGAS GOLDEN KNIGHTS FAN!!!!!!! 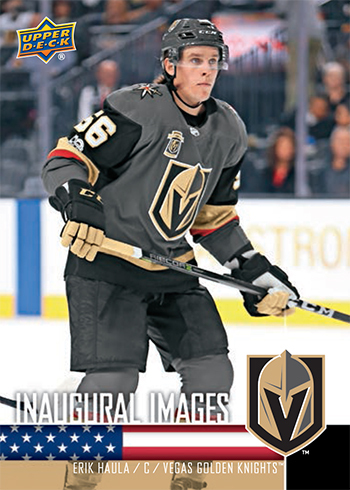 Started collecting VGK cards again. I have not collected cards since 1972. Now I’m back at it. 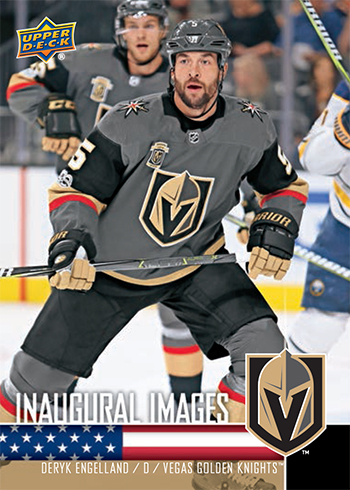 So far my favorite card is the Young Gun Alex Tuch. Got to see him get a Gordie Howe Hat trick at the 2-21-18 game in person. GO KNIGHTS GO!!! I’m born & raised in LV, been a huge hockey fan since I was 6. I’m now 33. (Yes, there are lifelong NHL fans that live in the desert). Grew up a NYR fan, but they’re now my #2. 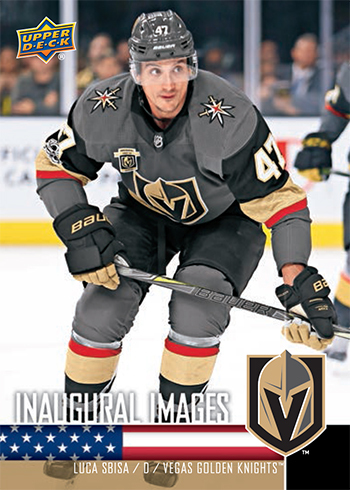 VGK being here is LITERALLY a dream come true. From playing the sport since I was a kid, and still playing this day. To creating a Vegas team on video games growing up, to being a crazy Hockey fanatic. I’ve been trying to spread the love of the sport to anyone & everyone in LV for years! For a hockey card preference? ANYONE. Having sports memorabilia for my hometown team is such a treat, that you can’t go wrong! GO KNIGHTS GO!!! GO KNIGHTS GO!! !